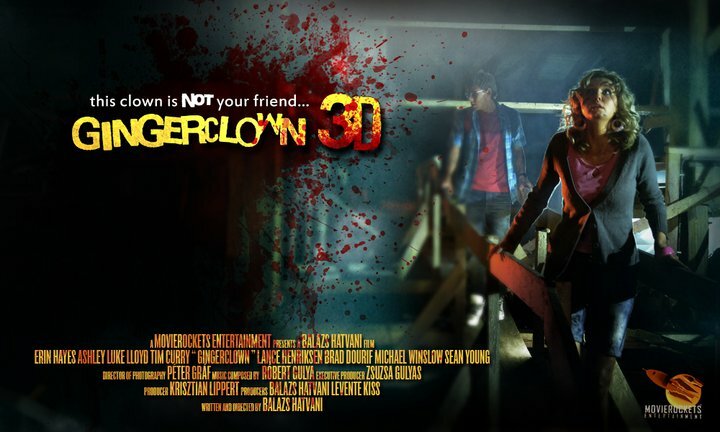 Ginger Clown 3D. . Wallpaper and background images in the 공포 영화 club tagged: gingerclown 3d 2012 horror comedy clown fan art tim curry. This 공포 영화 fan art contains 기호, 포스터, 텍스트, 칠판, 사인, and 서명. There might also be 애니메이션, 만화, and 만화책.